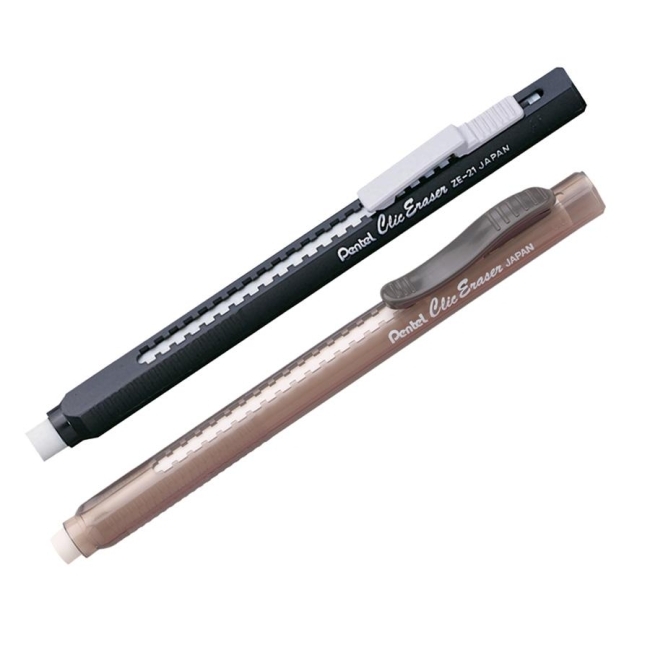 Retractable pen-shaped eraser offers a clean and easy way to erase pencil markings. Click to advance as much as you need. Click to retract to keep eraser clean. Nonabrasive eraser removes graphite lead marks cleanly and completely. Solid barrel has a rubber grip for extended erasing comfort.